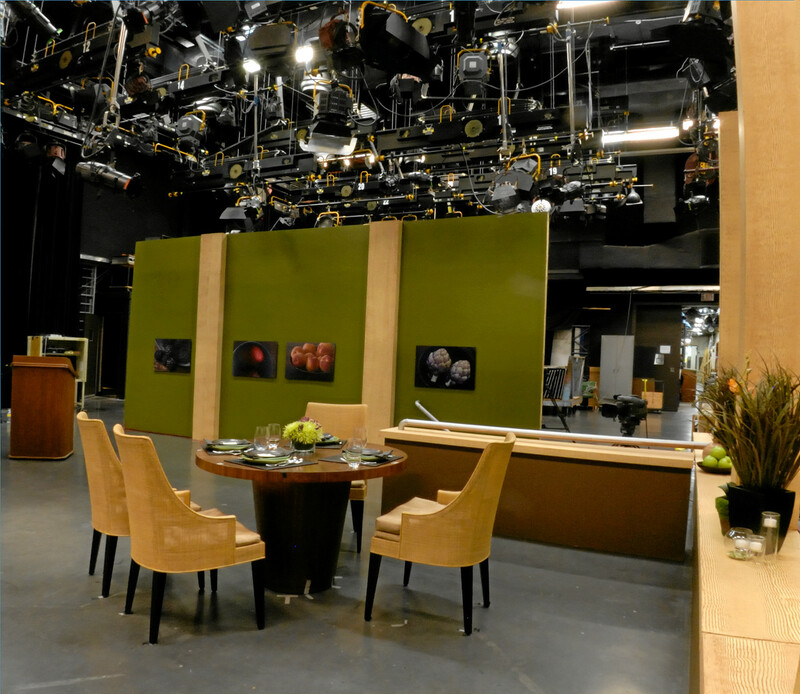 During the summer break 2009, the popular Chicago WTTW PBS restaurant review show “Check Please !” received a brand-new set for the 2010 season. Furniture and accessories from Crate & Barrel as well as many realistic props create the impression of a functioning restaurant when host Alpana Singh talks with three guests (people from “all walks of life”) about their restaurant recommendations. But something was missing only days from the start of taping of the new season: the appropriate wall-art a modern restaurant would have on display. Chicago based professional photographer Michael Roberts provided the perfect digital images, but they still had to be converted into impressive wall art pieces. 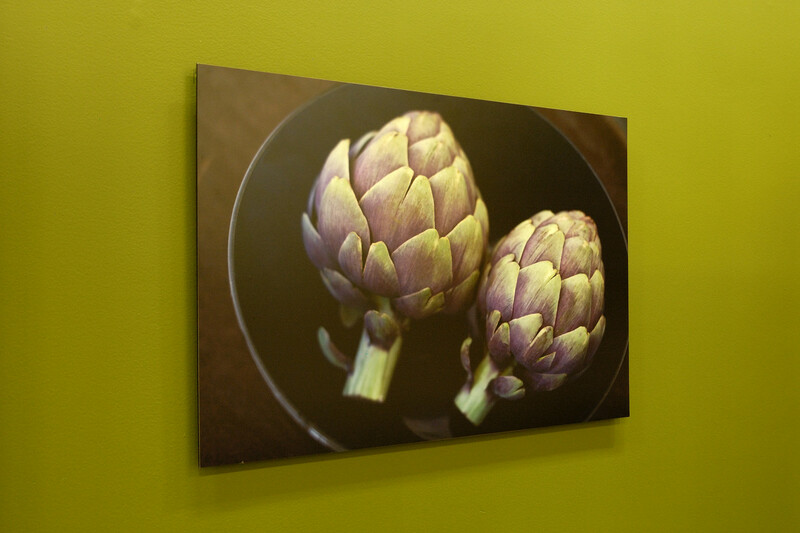 We helped out and created four gorgeous 30″x20″ fotoflōts. Michael Roberts’ images now float off of the studio wall and create a stunning display. 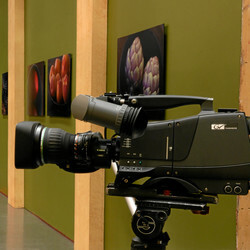 The camera folks were probably very happy since fotoflōt eliminates the glare and reflection they usually have to fight when images in traditional frames with glass are on the wall. 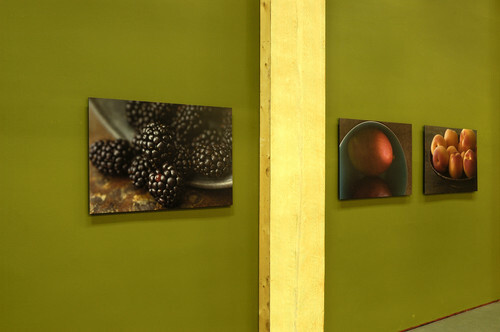 Michael Roberts’ photography is at michaelroberts.tv. 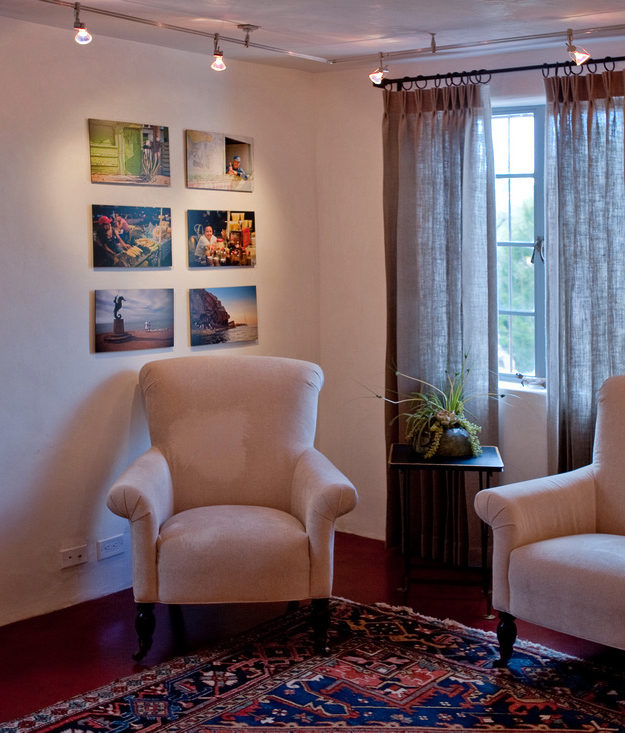 host Alpana Singh is a Master Sommelier and Director of Wine & Spirits for Lettuce Entertain You Enterprises. WTTW Chicago and the show “Check Please !” at checkplease.tv. Here can watch the episode where President Barack Obama (then Illinois State Senator) reviews his favorite Hyde Park Cajun restaurant the “Dixie Kitchen and Bait Shop”. And you can flōt your own images at fotoflot.com. 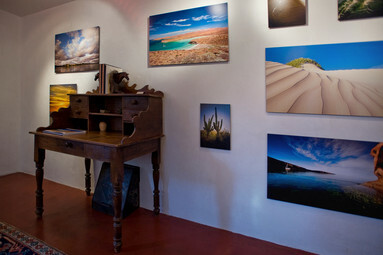 Carol Parker is a professional photographer located in Tucson, Arizona. 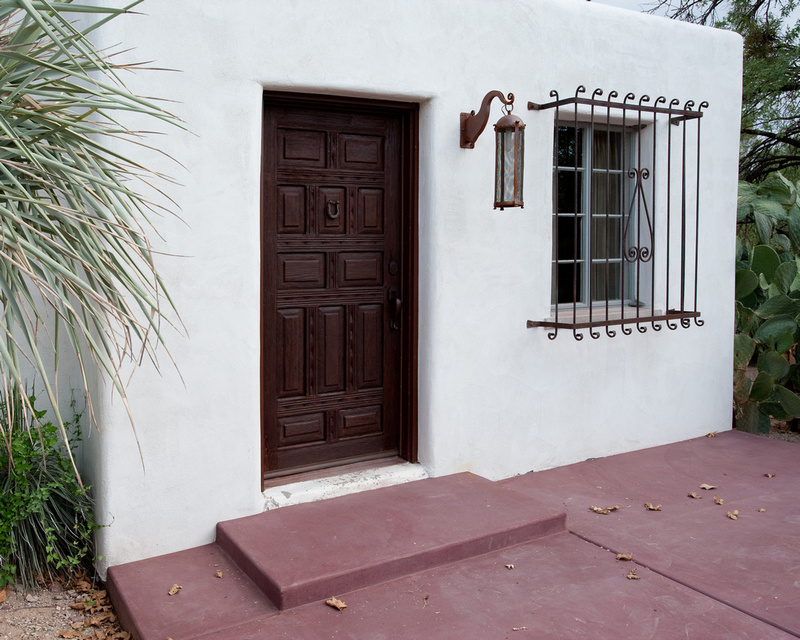 She recently remodeled an old adobe home to use as her studio and workplace. Carol told us she found fotoflōt to be “elegant and very user friendly”. 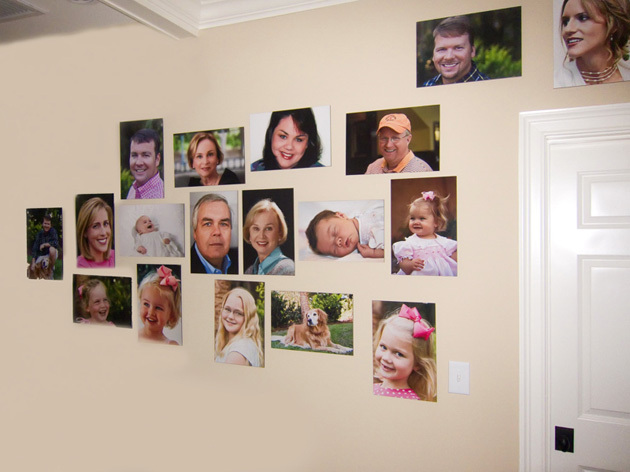 She wanted to have a display wall of photos and change the gallery periodically to feature different subjects without changing the overall layout. Carol decided that fotoflōt, with its magnetic mounting system, was ideal for her need. 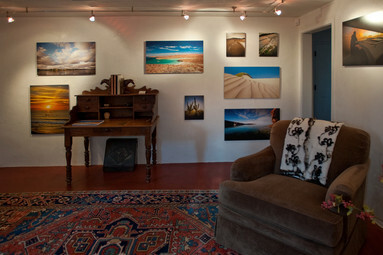 The result is a perfect venue to display her changing galleries of images. The arrangement seems to flow around the light switch and door. Its organic design creates a beautiful effect and demonstrates that not all arrangements have to be structured on a formal rectangular grid. AtHoc is a leading provider of emergency notification systems to military, government and commercial organizations. Millions of individuals worldwide rely on AtHoc’s unified notification systems for their emergency alerting and critical communication needs. AtHoc serves many large organizations that need to be comfortable with their ability to deliver and maintain high-quality systems. Displaying the logos of current customers helps establish their credibility. AtHoc had been printing the logos and slipping them into plexiglass holders mounted to a wall in the lobby area where they are visible to customers, visitors, technology partners and the press. They learned about fotoflōt and realized that it would enhance their credibility by displaying the logos in a more professional manner. They ordered all the logos on 10″x10″ fotoflōts for a consistent look and mounted them in their lobby. 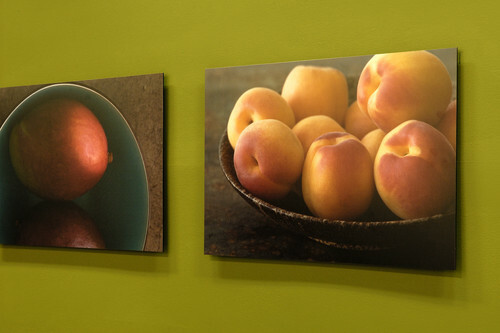 Once they had the logos up on the wall, they realized that fotoflōts provide another benefit: the magnetic mounting system makes it easy to rearrange the logos. Now they can change and reorder the logos in seconds to modify their appearance or tailor them to a particular visitor.